Price: $1.99 (as of 06/29/2015 at 6:30 PM ET). When a big movie production comes to Cherringham, complete with lords, ladies, and flashing swords, the whole village is abuzz with excitement. But when a series of dangerous accidents threatens the life of the young lead, Zoe Harding, Sarah and Jack get involved. Are these really accidents? Or could they be something more sinister — even deadly? Who is trying to destroy the career of the beautiful young star — and why? See all of the titles in the Cherringham Mystery Shorts Series including several compilations. Price: $1.99 (as of 06/29/2015 at 6:00 PM ET). As owner of Coffee, Books, and More, Jill Gardner looks forward to the hustle and bustle of holiday shoppers. But when the mayor ropes her into being liasion for a new work program, 'tis the season to be wary. Local businesses are afraid the interns will be delinquents, punks, or worse. Price: $2.99 (as of 06/29/2015 at 5:30 PM ET). When a local fisherman finds a severed limb in his net, it sets off a chain of events that no one can anticipate. 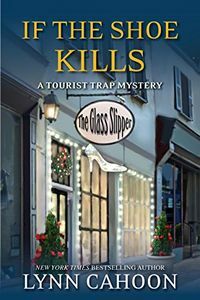 Lt. Maggie Redmond soon discovers that the foot belongs to the friend of another recently dead guy, Gregory Boudreaux, the man she never told anyone about. Gregory's death was thought to be a suicide. That seems less likely, now that his best friend Sport's foot has shown up out of the blue, as it were. When it starts looking like town villain Bennett Boudreaux might be responsible for eliminating Sport, things begin to get a little weird. Especially since Maggie's started to take a liking to Bennett. 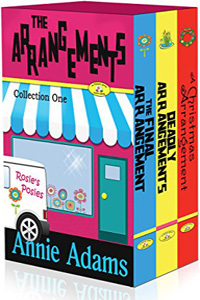 She's also taken a real liking to her boss, Sheriff Wyatt Hamilton, but both her relationship to Bennett and her secret connection to the dead men threaten hers and Wyatt's relationship. Is Bennett protecting or avenging Maggie for some reason, or does he have something altogether different on his mind? 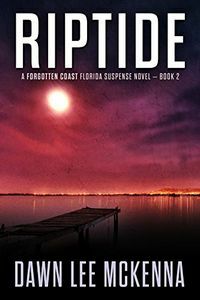 See also the first book in this series, Low Tide, for $2.99 on Kindle. Price: 99¢ (as of 06/29/2015 at 5:00 PM ET). Hunky photographer Max Farrell has just vanished into thin air, his last sighting in the arms of a blonde floozy at a Swiss mountain resort. 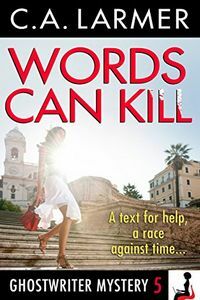 Max's estranged girlfriend Roxy Parker pretends she doesn't care but when his flatmate shows up murdered, bludgeoned by his own guitar, and then the floozy takes a dive off a cliff on the Italian Riviera, she must face the truth at last — Max's life is hanging in the balance and she is his only hope. Where is Max? Who killed his Berlin flatmate? And what the hell was he doing with that blonde in the first place! 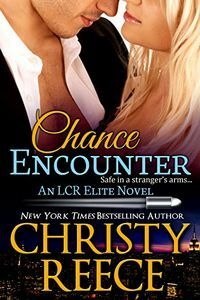 Roxy Parker packs her designer luggage and heads to Europe on a quest to find the man she wishes she didn't love. With his uber-trendy, self-absorbed sister, Caroline, by her side, Roxy must follow a series of tantalising clues that take them from the heights of Mt Pilatus to the azure Mediterranean Sea encountering brash German police, secretive Swiss soliders, and an Italian lothario to die for. Price: 99¢ (as of 06/29/2015 at 4:30 PM ET). Euro-trash collides with American gangsta in Maryland's gleefully cheesy beach resort. Reporter Jamie August befriends a spoiled heiress who is being pursued by Russian mobsters — and a chart-topping rap star. 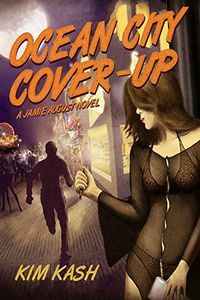 Meanwhile, a raging crime spree is keeping Jamie busy — and so is a hot new boyfriend and a strict jogging and frozen custard fitness plan. Action careens from OC to Dubai, from the wild shores of Assateague to a wild-west campground. Will Jamie survive to debut her fringed leopard-print bikini? See also the first book in this series, Ocean City Lowdown, for $2.99 on Kindle. Price: $1.99 (as of 06/29/2015 at 4:00 PM ET). Winner of the 2013 CWA Ellis Peters Historical Dagger. Edward Savill, a London clerk from the American Department, is assigned to New York to investigate the claims of dispossessed loyalists caught on the wrong side of the American War of Independence. Surrounded by its enemies, British Manhattan is a melting pot of soldiers, profiteers, double agents and a swelling tide of refugees seeking justice from the Crown. Savill lodges with the respected Wintour family: the old Judge, his ailing wife and their enigmatic daughter-in-law Arabella. The family lives in limbo, praying for the safe return of Jack Wintour, Arabella's husband, who is missing behind rebel lines. New York City, 1894. The Democratic Party headquarters at Tammany Hall is a hotbed of cronyism, corruption, and intimidation. Private investigator Pamela Thompson's close colleague at Jeremiah Prescott's law firm, former NYPD detective Harry Miller, has had his own career tainted by scandal. Seven years ago, while investigating a case connected to Tammany Hall, he was falsely accused and wrongfully convicted of extortion. To see more new paperback titles scheduled to be published this month, visit The Mystery Bookshelf for June 2015. 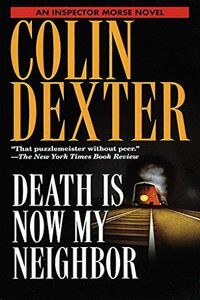 For new hardcover mysteries, visit New Mysteries where for a list of June 2015 mysteries, novels of suspense, and thrillers is provided. Price: $1.99 (as of 06/29/2015 at 3:00 PM ET). It is 1833. 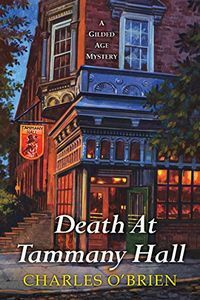 In the midst of Mardi Gras, Benjamin January, a Creole physician and music teacher, is playing piano at the Salle d'Orleans when the evenings festivities are interrupted — by murder. Ravishing Angelique Crozat, a notorious octoroon who travels in the city's finest company, has been strangled to death. With the authorities reluctant to become involved, Ben begins his own inquiry, which will take him through the seamy haunts of riverboatmen and into the huts of voodoo-worshipping slaves. The United States has anticipated and averted countless attacks from terrorist groups — thanks in large part to the extralegal counterterrorist unit known as the Taskforce. But a much more insidious evil is about to shatter the false sense of safety surrounding civilized nations. While world powers combat ISIS on the battlefield, a different threat is set in motion by the group — one that can't be defeated by an airstrike. Off the radar of every Western intelligence organization, able to penetrate America or any European state, they intend to commit an act of unimaginable barbarity. 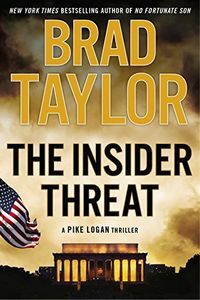 Only Pike Logan and the Taskforce stand in the way of an attack no one anticipates, a grand deception that will wreak unthinkable chaos and reverberate throughout the Western world. For a list of more new hardcover titles to be published this month, visit our New Mysteries page for June 2015. 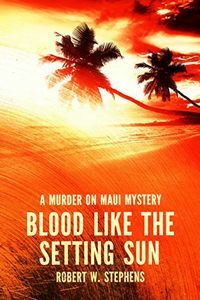 For new paperback mysteries, visit The Mystery Bookshelf where a selection of June 2015 mysteries, novels of suspense, and thrillers are shelved. 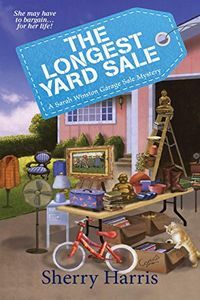 When Sarah Winston turns Ellington, Massachusetts, into New England's largest garage sale for a day, it's the small town's biggest event since the start of the Revolutionary War — but without the bloodshed. 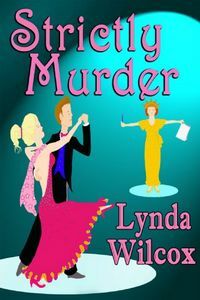 That is, until a valuable painting goes missing … and the lifeless body of an Air Force officer is found in Carol Carson's painting studio, his face perfectly framed with the murder weapon — a metal picture frame. Price: 99¢ (as of 06/29/2015 at 1:00 PM ET). Why would a sniper shoot suburban physiotherapist Rachel James as she sips her morning coffee? Inspector Morse's hunt for answers kicks off with a tabloid journalist, winds through the strip clubs of Soho, then returns to Oxford, where two senior dons and their wives battle for a plum promotion. Then, on the personal front, Inspector Morse receives intimations of his own mortality. Price: $3.99 (as of 06/29/2015 at 12:30 PM ET). She's the face of innocence whose secrets, if uncovered, could destroy her carefully crafted life. On the cusp of achieving every goal she's set for herself, Kacie Dane is one step away from superstardom. The hell she endured five years ago is a nightmare of the past. With a new name and a new life, no one would ever recognize her as the ravaged victim she'd once been. Her secret is safe … or so she thinks. He's a disgraced former sports star looking for redemption, determined to stay in the shadows. Once the golden boy of the NFL, Brennan Sinclair's fall from grace was witnessed by the entire world. Determined to stay out of the limelight and make his life count for something, he joins the Elite branch of Last Chance Rescue. Brennan never expected his first assignment would draw him back into the life that almost destroyed him. Some secrets should never be kept. Some sins can never be forgiven. Someone knows exactly who Kacie Dane is and will stop at nothing to destroy her. Brennan is sure that he, along with his LCR Elite partners, can keep Kacie safe and unmask the evil trying to destroy her, but he never expected to lose his heart to the one woman he couldn't have. A killer bent on revenge. A woman who refuses to be broken. A man in need of redemption. See also the highly reviewed first book in this series, Running on Empty, for $3.99 on Kindle. 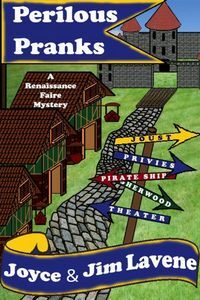 Omnimystery News invites you to Enter to Win a copy of The Paris Homicide Mysteries by Frédérique Molay, courtesy of Le French Book. Synopsis: There's no rest for Paris's top criminal investigation division, La Crim'. Who is preying on women in the French capital? How can he kill again and again without leaving any clues? 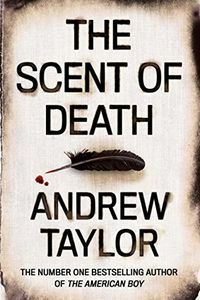 A serial killer is taking pleasure in a macabre ritual that leaves the police on tenterhooks. 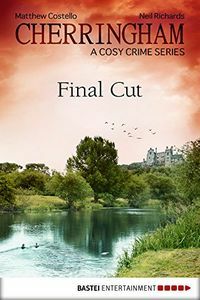 Chief of Police Nico Sirsky — a super cop with a modern-day real life, including an ex-wife, a teenage son and a budding love story — races against the clock to solve the murders as they get closer and closer to his inner circle. Will he resist the pressure? Synopsis: It's Christmas in Paris. Chief of Police Nico Sirsky returns to work after recovering from a gunshot wound. He's in love and rearing to go. His first day back has him overseeing a jewel heist sting and taking on an odd investigation. Dental students discovered a message in the tooth of a severed head. Is it a sick joke? Sirsky and his team of crack homicide detectives follow the clues from an apparent suicide, to an apparent accident, to an all-out murder as an intricate machination starts breaking down. Just how far can despair push a man? How clear is the line between good and evil? Synopsis: When a major Parisian modern art event gets unexpected attention on live TV, Chief of Police Nico Sirsky and his team of elite crime fighters rush to La Villette Park and Museum complex. There, renowned artist Samuel Cassian is inaugurating the first archeological dig of modern art, three decades after burying the leftovers of a banquet. In front of reporters from around the world, excavators uncover a skeleton. Could it be the artist's own son? And does that death have anything to do with the current string of nightclub murders by the "Paris Butcher"? On the site of the French capital's former slaughterhouses, the investigation takes Nico and France's top criminal investigation division from artists' studios to autopsy theaters and nightclubs in hopes of tracking down the murderer who has turned this Paris park into a city of blood. 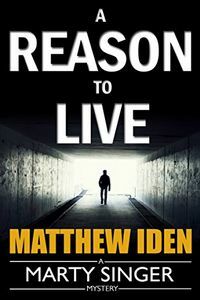 The five books in the Marty Singer Mystery Series by Matthew Iden for $1.99 Each is a Kindle Daily Deal. We're featuring the first in the series in this post. Twelve years later, the victim's daughter comes to Marty begging for help: the killer is stalking her now. There's just one problem: Marty's retired … and he's retired because he's battling cancer. But with a second shot at the killer — and a first chance at redemption — Marty's just found a reason to live. 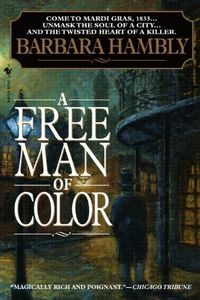 In many ways, Harry Niles should be as American as apple pie: raised by missionary parents, taught to respect his elders and be an honorable and upright Christian citizen dreaming of the good life on the sun-blessed shores of California. But Niles is also Japanese: reared in the aesthetics of Shinto and educated in the dance halls and backroom poker gatherings of Tokyo's shady underworld to steal, trick and run for his life. As a gaijin, a foreigner — especially one with a gift for the artful scam — he draws suspicion and disfavor from Japanese police. 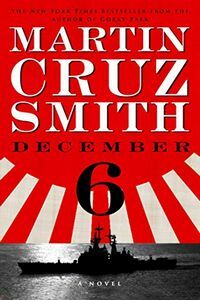 This potent mixture of stiff tradition and intrigue — not to mention his brazen love affair with a Japanese mistress who would rather kill Harry than lose him — fills Harry's final days in Tokyo with suspense and fear. Who is he really working for? Is he a spy? For America? For the emperor? Now, on the eve of Pearl Harbor, Harry himself must decide where his true allegiances lie. This is a repeat freebie that was last featured on our site on November 14, 2013. This is a repeat freebie that was last featured on our site on October 11, 2013.